It's here! My weekly bounty of fresh, organic goodness is back! For the second year in a row I'm doing Katchkie Farm's CSA (or Community Supported Agriculture) and absolutely loving it. 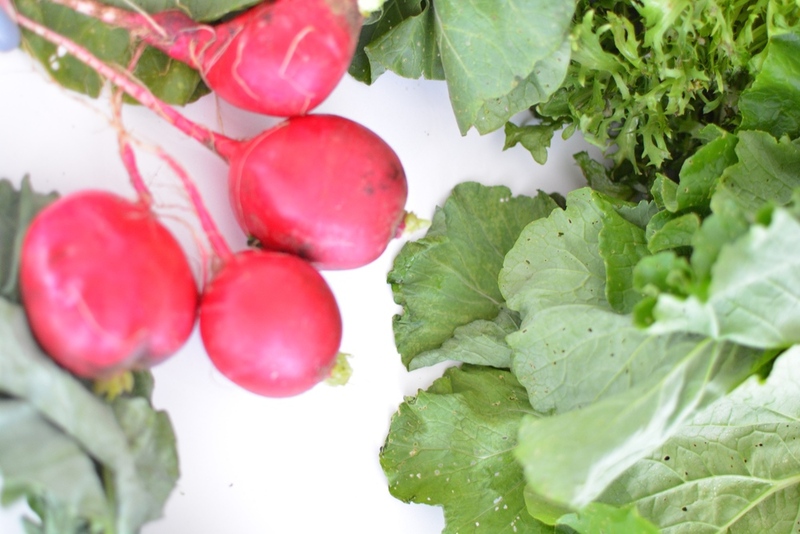 CSA season at Katchkie Farm runs June through October (October, people! I could hardly believe it). I'll provide monthly posts along the way on what I'm doing with my CSA veggies. Keep it simple. Great organic produce doesn't require much at all to be delicious. Olive oil and salt can dress a salad or season roast veggies. Green salad goes with every meal and makes a great snack. I wash all produce and start prepping it the day it arrives so that it's ready to eat or cook throughout the week. My salad spinner and food processor are absolutely essential. Frisée for days. Seriously, how gorgeous.